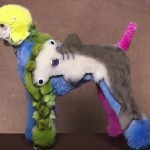 As part of our dog kennelling business at Pet Central Hotel, we offer a dog grooming service, and having caught up with the new TV series of Ronnie Corbett’s Animal Crackers on Friday night on BBC1 a couple of weeks ago, their feature on creative dog grooming really did catch the eye for us. Creative grooming is a really big thing in the USA and appears to be something that is starting to catch on here in the UK. 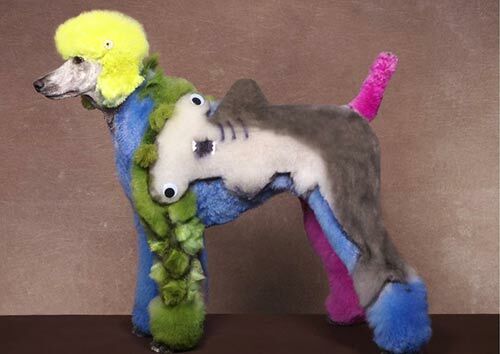 Never mind a wash and brush up and a nice cut for your pooch, this is extreme styling for your poodle. With such designs as Disney’s Mickey Mouse or even more daring the opportunities are endless and only limited by your imagination. Most of the transformation is done through careful cutting, shearing and shaping to achieve that desired look, before careful colouring is applied to give that perfect finish. 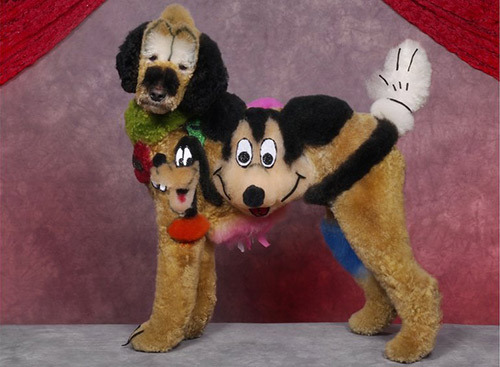 The great news is the poodle’s, which appear to be the main breed used for this kind of work, seem to thoroughly enjoy the attention lavished upon them. 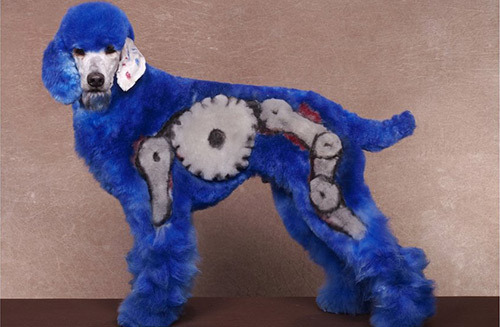 Here at Pet Central, we can definitely confirm our grooming services never quite run to anything as grand as this. We can, however, promise a great service for bathing, nail care, clipping and ear care with a professional hands on service if you’re looking to give your dog a pamper. Whilst our main activity is dog boarding along with the cattery, we do offer limited dog grooming services for our guests, and so thought it would be an interesting topic for anyone looking for hints and tips on grooming your dog. These are not necessarily all the steps we take when we’re grooming, but a general insight into keeping your dog nice and clean and tidy on a week to week basis. 1. If you have a long haired dog, we’d suggest a daily brushing to keep knots and tangles to a minimum. With a good quality dog brush and a gentle approach this can offer an enjoyable and relaxing playtime for you and the dog. 2. Medium length haired dogs can often suffer from matting particularly if they’re out and about in the woods and fields regularly. However, a quick daily brush over will keep them looking at their best. Short haired dogs can be left to once a week, dependent on their lifestyle and activity. 3. When your dog is shedding it’s hair, it pays to brush them more often. This helps to stop the build up of hair throughout the house. If you need any help on the kind of brush you want, we’re more than happy to make suggestions as there are lots of different types out there. 4. Try and get into a regular routine of bathing your dog. Once a month is ideal for most breeds, but more regularly than that won’t hurt. When you choose a shampoo for them, figure out what kind of skin type they are (dry, normal or oily). Don’t ever be tempted to use human shampoo or washing up liquid. These are both unsuitable for your dogs skin. 5. When bathing, a good idea is to do the body first followed by the legs and finally the head. 6. Rinse off shampoo thoroughly. Take extra care to get into all the areas which are not easy to get to. Dried soap can cause itchiness if not rinsed off, so it’s worth paying particular attention to. 7. Clean your Dog’s ears very carefully using an ear bud to remove any wax or dirt. Be careful how you use an earbud and never insert the ear bud into the ear. If you have a long eared breed check regularly for ear problems. Due to them having less air exposure they can suffer with yeast and bacteria build up in the ear area and these sometimes become infected. 8. Keep an eye on your dogs nails. If their nails grow too long this can cause pain, particularly when exercising. Keep them short on a week to week basis by using an emery board or nail file and clipping them every month or so if you’re not exercising them on a path which will help to naturally keep them short. 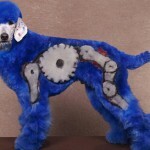 If you’re unsure about clipping, a professional dog groomer can clip them for you. 9. Check your dog’s paws making sure the pads are clean with no build up of hair between them. Too much and this can cause matting which can lead to painful drying out and hardening, particularly in colder weather. 10. 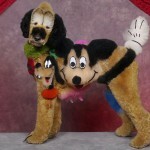 Always make a fuss of your dog when carrying out your grooming. A little fuss will make it more stress free for both you and them. Don’t forget when you’ve finished to reward them with a treat or two! If you’re looking for hints and tips on our dog grooming services, why not get in touch and we’ll do our best to answer your questions. Boarding your Dog – Luxury style! Here at Pet Central Hotel we offer kennel and cattery boarding for your beloved dogs and cats in Redditch and the surrounding areas. Located in a spacious country environment close to local amenities we have plenty of space for your pet to enjoy themselves. Our hands on philosophy of putting your pet first is essential to making your pet have a home from home experience. Call us on 01527 892 164 to discuss your pet boarding requirements.